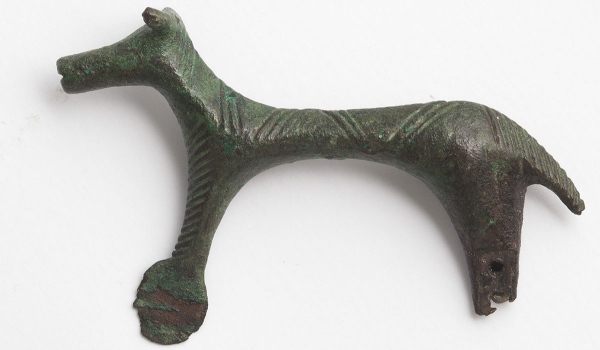 Amulets, chimes, swords, bronzes; for the Romans, the Etruscans and the Greeks, these were not mere objects. They were gifts to obtain the favour of the gods. Explore the collection and embark on a mystical and intensely fascinating journey, discovering the link between precious archaeological finds and ancient pagan cults. This ongoing relationship with the gods took the form of pagan rituals and practices designed to invoke their protection through propitiatory offerings, the interpretation of omens, practices related to the world of the dead, and even sacrificial rites to expiate heinous sins or to face events with an uncertain outcome. The series of votive bronzes of Venetian, Etruscan and Roman origin, depicting various Greek and Roman deities, reflect this devotion to rituals. 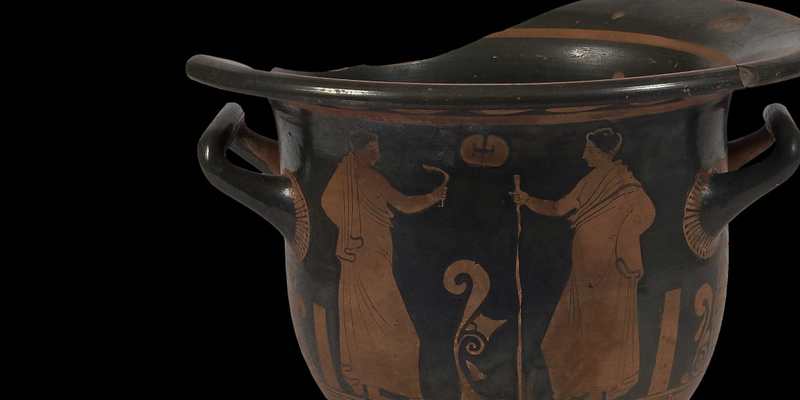 The oldest, a number of Kouroi and a Kore dating back to the 6th and 5th centuries B.C., reveal the transposition of archaic Greece cults into the Etruscan, and perhaps even the Venetian world. Particularly worthy of note, among other great heroes and fighters, is the figure of Heracles, alongside various depictions of donors and devotees. Belonging to the end of Republican Rome and the beginning of Imperial Rome are the representations of various Greek and Roman deities, such as a chaste Venus, Mars at rest, Mercury and Jupiter. 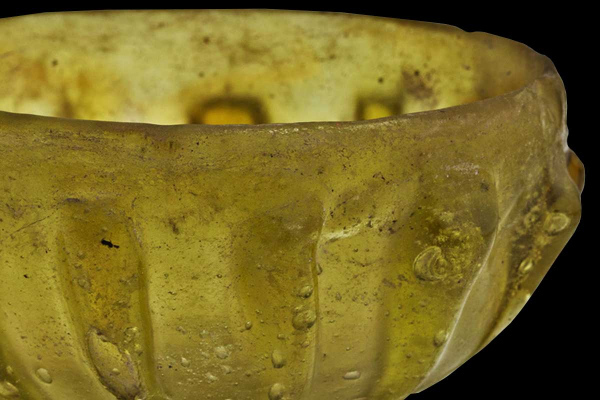 Also notable are the bronze grave goods attributable to the ‘Tomb of Borsea’: comprising vases and banqueting ladles from the 7th and 6th centuries B.C., these articles echoed the ritual of the symposium and were considered a good omen for the deceased in the afterlife. Also a reference to the cult of the gods is the scene of an Apulian crater with red figures from the 4th century B.C., discovered in Adria in 1712 and depicting Apollo holding a phiale, or libation cup, in his right hand, while leaning on a laurel. Before him, a winged Nike offers him a laurel wreath, while the opposite side of the vase depicts two cloaked figures: one holds a strigil and the other a stick. 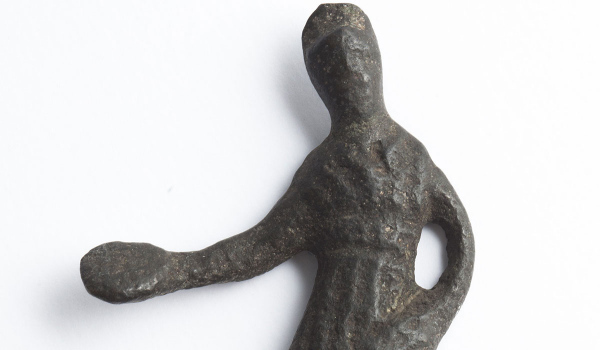 The collection also comprises a number of Roman apotropaic amulets, intended to ward off evil.